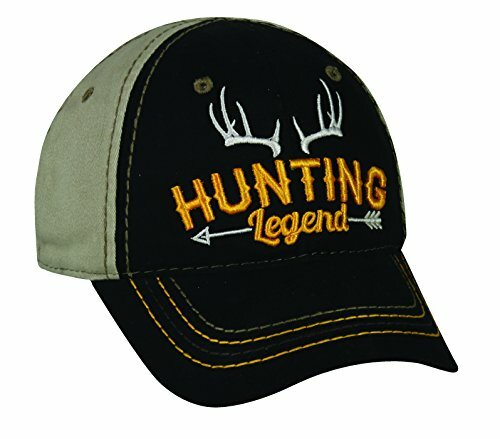 Outdoor Cap Adjustable Closure Toddler Hunting Legend Cap, Black/Khaki by Outdoor Cap at Freedom from Government. MPN: TDL-005. Hurry! Limited time offer. Offer valid only while supplies last. This soft structured Toddler cap features front embroidery and is medium washed. Adjustable Micro hook/loop tape closure ensures a comfortable fit. View More In Hunting Apparel. This soft structured Toddler cap features front embroidery and is medium washed. Adjustable Micro hook/loop tape closure ensures a comfortable fit. Toddler fit. If you have any questions about this product by Outdoor Cap, contact us by completing and submitting the form below. If you are looking for a specif part number, please include it with your message.